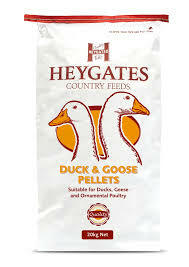 A 3mm pellet for ducks, geese and ornamental poultry. Suitable for following on from chick crumbs through to maturity. Finisher Pellets may be fed for the last 2 weeks to birds being reared for meat to improve the fiinish.